Sharing our favorite mod podge crafts and projects for beginners. If you are new to decoupage, this post will help you get started! We’ve shared lots of mod podge crafts here over the years, and for good reason. 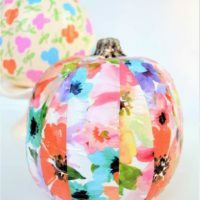 Decoupage is an easy and inexpensive form of crafting, and the creative possibilities are endless! So today, I’m rounding up some of our favorite mod podge crafts for beginners from our archives. 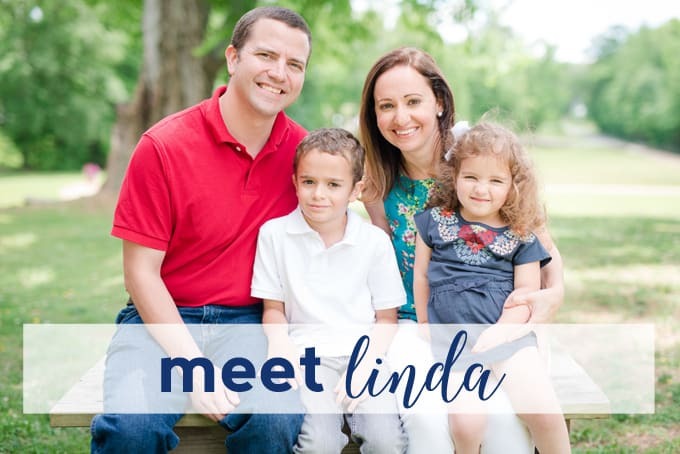 There are all sorts of projects here, from gift ideas to kids crafts to home decor and more. 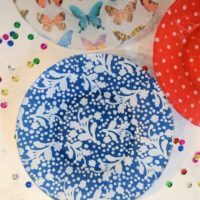 Want to learn to decoupage? Already know the basics but are looking for some creative ideas and tutorials? This list of favorite Mod Podge crafts is for you! Easy glitter mod podged plates! 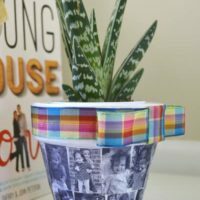 The perfect beginners decoupage craft, and a great kids craft as well! Everything is better with confetti!! 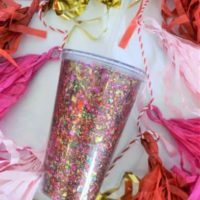 Make these confetti tumblers for gifts, or as a birthday party craft. This mod podged custom photo planter makes a great gift, especially for mom or grandma! Add in your her favorite plant for an extra special treat! This is a reader favorite! Mod Podge a vase for custom decor in any color palette you choose. 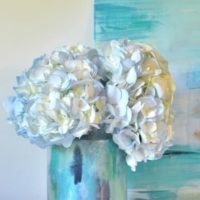 I love these watery blues, especially paired with a blue hydrangea! Perfect for fall or Halloween, a mod podged pumpkin is a fun centerpiece! 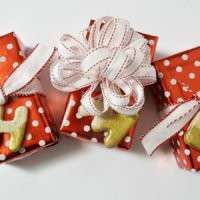 Use tissue paper, wrapping paper, or scrapbook paper...anything will work! 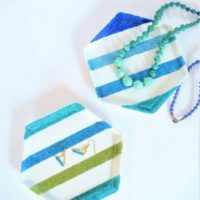 Simple glass plates (easily found at goodwill or a dollar store) get a quick and easy upgrade with Mod Podge)! Let's not forget about Mod Podge kids crafts! 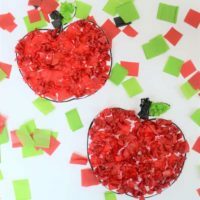 This easy apple craft is perfect for fall or back to school. 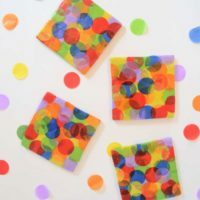 Store bought confetti, Italian tiles and Mod Podge are all you need for these DIY coasters. Making your own Christmas ornaments has never been easier. Make these Mod Podged ornaments as gifts, or even to sell! 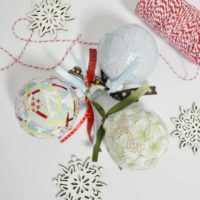 Salt Dough Ornaments get an upgrade with Mod Podge Sparkle! Come see how easy working with salt dough really is! This kids matching game was a bestseller when I sold on Etsy. Now, I share how you can make it yourself! 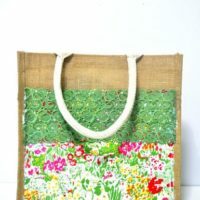 A plain jane jute tote bag gets a bright and colorful upgrade with Mod Podge and fabric! 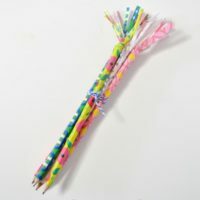 Tissue paper and Mod Podge come together to gussy up simple pencils. 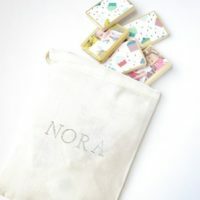 I've given these as gifts, just add a pretty notebook! Whether you’re a Mod Podge beginner or more experienced with the medium, I hope you found a new DIY to try! 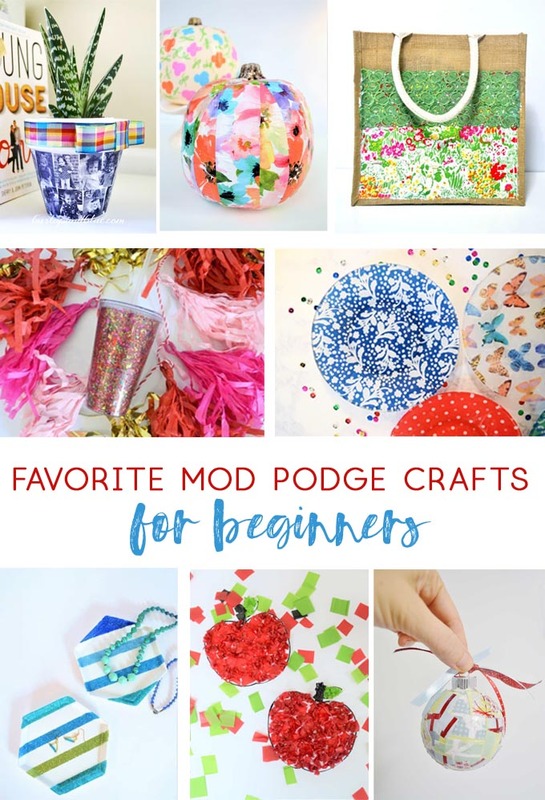 Thanks so much for reading all about Our Favorite Mod Podge Crafts for Beginners. Have a great day!